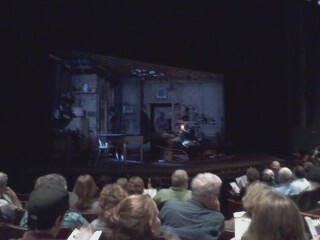 *Seeing A Raisin In The Sun at Geva Theater. Even though it was as depressing as I feared it would be, it was a great show, with some funny moments that I hadn't expected. *An 18 mile run by the lake on a so-foggy-it's-almost-surreal Saturday morning. Seriously, it was like running on the set of a horror movie or in an episode of the Twilight Zone. So freaking cool! *Dinner at Mamasan's. Because I will take delicious Thai food over corned beef and cabbage any day. *Sunday morning yoga at my gym. I am the worst at yoga and my new gym intimidates the hell out of me, but at this point I consider it a success if I don't topple over and none of my appendages fall off in protest. So winner winner, ice cream for dinner. *Watching This is Spinal Tap with Mike and his mom. I don't know how I'd never seen this movie before because it's so ridiculous and funny. I wish Spinal Tap was a real band and "Big Bottom" was a real song. 1) I discovered the secret to not feeling weird and restless while taking a bath: a book and a smoothie. Some runners recommend ice baths after a long run, but I hate being cold and cannot bring myself to willingly inflict an icy torture upon my limbs, so I decided to take an Epsom salt/bubble bath instead. Usually I don't know what to do in the bathtub. I feel like I'm just sitting there in my own filth. Which, after a long run, is a pretty considerable filth indeed. But I made myself a smoothie, grabbed a book and had a go at it. I lasted 20 whole minutes before I got too antsy and had to take a shower. My legs felt great afterwards, so this may become my new recovery ritual. 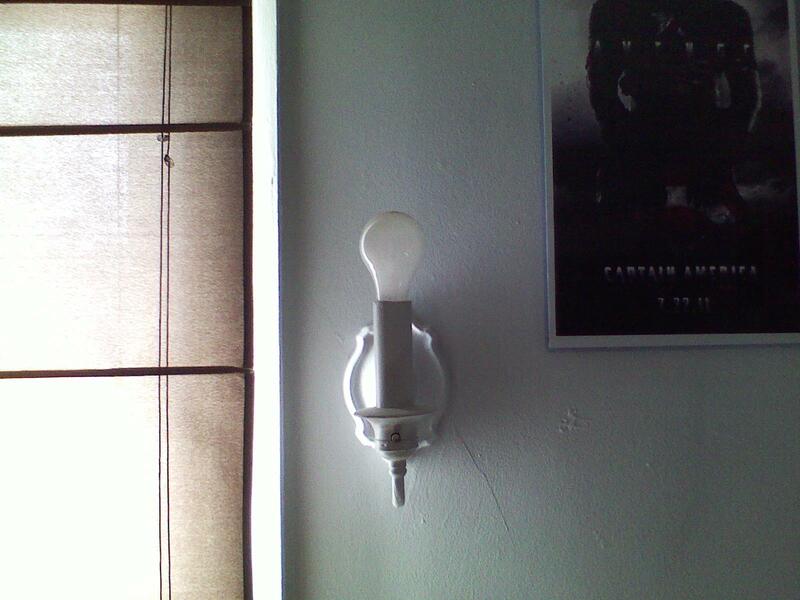 2) I discovered how many robots it takes to change a light bulb. 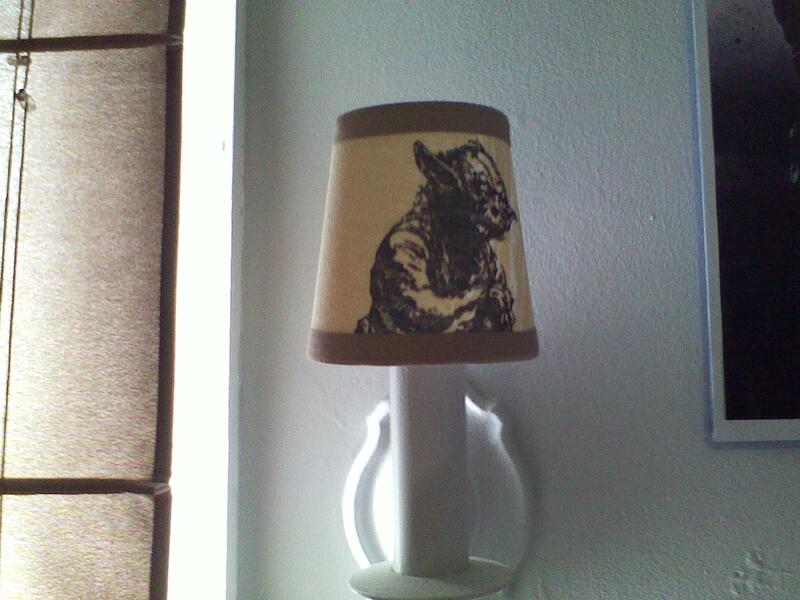 I have been trying to find a new lampshade for the wall sconce in my third bedroom since I moved into my house 4 years ago. 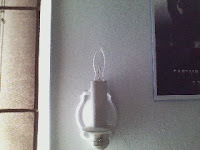 All the lampshades I found that had a clip big enough to fit on a standard 100W light bulb were too big to fit in the small space between the lamp and the wall, and all the lampshades small enough to fit in that space had clips that were too small for a standard light bulb. 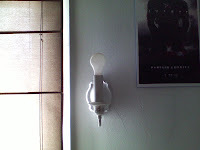 Finally, a light bulb went off in my brain and I figured out it would be easier to simply swap out the standard light bulb for a smaller one. 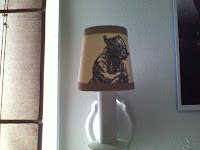 Add a Yoda lampshade, and voila, problem solved! Lyric of the moment: "This is your life. This is your time..."